One Fat Frog Restaurant Equipment is the only used commercial restaurant equipment dealer in the state of Florida with a large staff of in-house technicians. Other used commercial restaurant equipment dealers may claim that they have a staff of technicians, but they are usually talking about themselves. One Fat Frog Restaurant Equipment actually has a large staff of specialized in-house technicians on hand every day who are ensuring that the used commercial restaurant equipment that leaves the warehouse runs like new. The One Fat Frog Restaurant Equipment staff on in-house technicians clean, refurbish, test, and service all of the used commercial restaurant that enters and leaves the warehouse. One Fat Frog Restaurant Equipment’s staff of in-house technicians are experts at refrigeration, wiring, and every other aspect of the used commercial restaurant equipment technical world. While one technician is busy painting a display cooler another is loading a palette of restaurant equipment on a truck for delivery. While one is out on a service check-up, one is converting a natural gas fryer to a liquid propane one. Come shop at the One Fat Frog Restaurant Equipment Super Mega Warehouse in Orlando and you can say hi to our staff of in-house technicians for yourself. One Fat Frog Restaurant Equipment’s warehouse is filled to the brim with used commercial restaurant equipment for pizzerias, bakeries, food trucks, bars, et. One Fat Frog Restaurant Equipment offers quick cash deals, package deals, and financing towards the entire stock of used commercial restaurant equipment. Come into One Fat Frog Restaurant Equipment today, see our stock, and say hi to our staff of specialized in-house technicians. 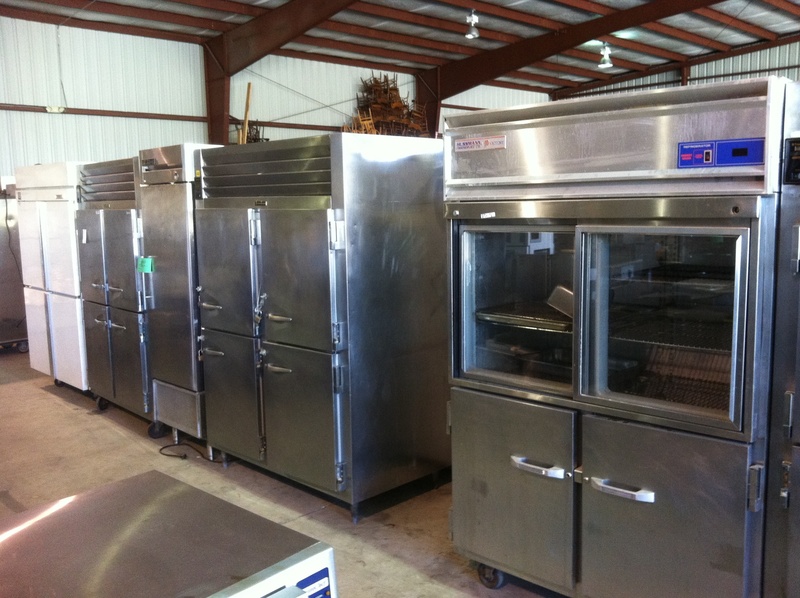 ← Huge Line of Used Cooler, Freezers, Display Coolers, etc.